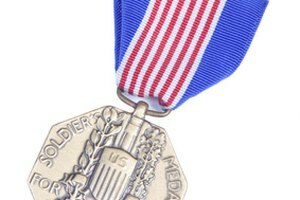 World War II medals and ribbons come in two main types: decorations and campaign medals. 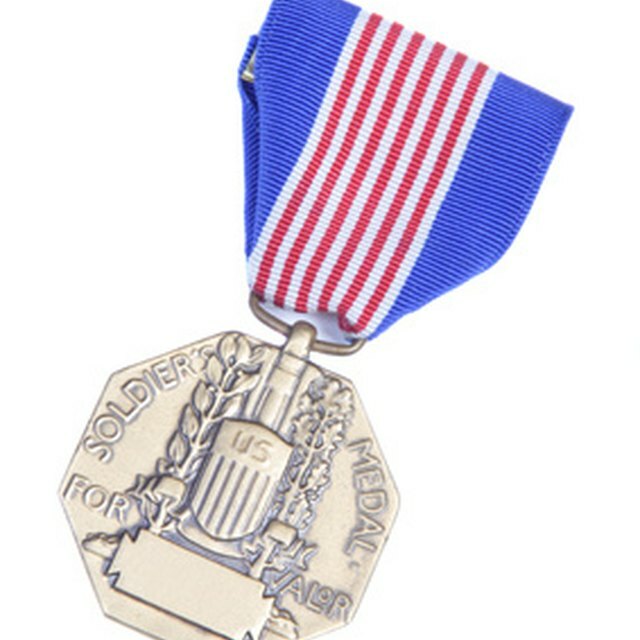 Decorations, such as the Medal of Honor, are given only to soldiers who performed a particularly brave act, while campaign medals are given to all service personnel who served in a particular theater of the war. 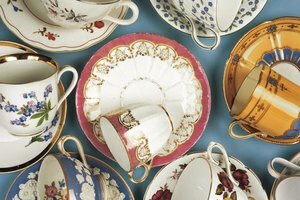 As a result, decorations are much rarer than campaign medals. Both the medal and the ribbon that accompanies it can help you identify which is which. Look at the medal's shape. Is it round, or some other shape? All U.S. campaign medals from World War II are round. If the medal is another shape, it is most likely to be for something other than participating in a particular campaign. One of the most distinctive medals is the Purple Heart, which is shaped like a heart, purple with a gold surround, and a gold profile of George Washington in the center. Check for any extra symbols attached to the ribbon. 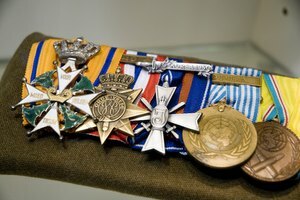 For example, bronze stars attached to the ribbon of the European African Middle Eastern campaign medal indicate that the serviceman took part in a specific campaign, such as the Normandy landings in June and July 1944 and the fighting in the Ardennes in December 1944 and January 1945. An arrowhead worn on the same medal’s ribbon shows that the serviceman participated in a combat parachute jump, an amphibious landing or a combat glider landing during the campaign. Check your medal and ribbon against the chart on the Institute of Heraldry’s website if you are still unsure. The chart shows examples of all the medals and accompanying ribbons given to World War II service personnel by the government, along with all the criteria for qualification. If your medal is not on this chart you might need additional help to identify it. 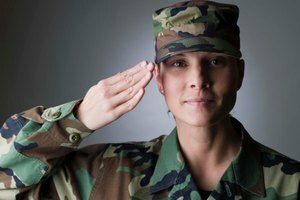 A local veteran’s organization might be able to help. What Are the Colored Bars on Military Uniforms? Kennedy, Rita. "How to Identify World War II Ribbons & Medals." 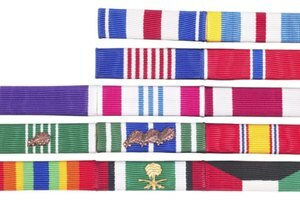 Synonym, https://classroom.synonym.com/how-to-identify-world-war-ii-ribbons-medals-13583537.html. 04 October 2017.